The price is just for the nacho cheese machine. We no longer stock the cheese, but you can get it online or try our local bulk food stores. It must be the bag of cheese, not the can. The bag of cheese must also come with the connecting rubber hose to thread through the machine. The machine is not built to hold cans. 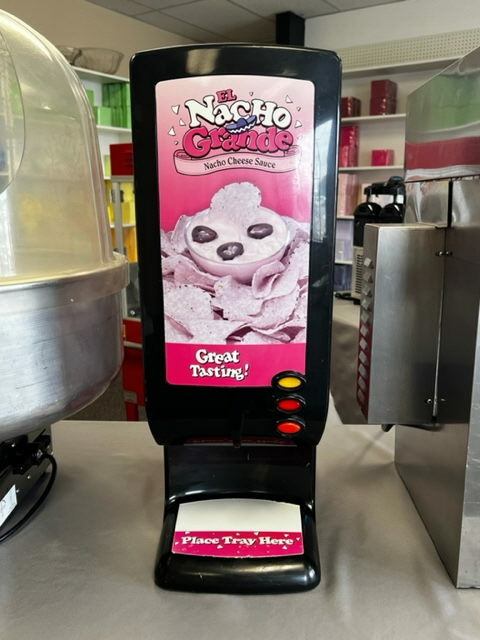 * Please call us with any questions about our nacho cheese machine rentals in Kennewick, WA and Richland, WA.